Are You Seeking Window Cleaning Services in Charlottesville? There is a lot to know about living in Charlottesville. There is always something to do and see. Also, if you are ever in need of a contractor for exterior cleanings; you can find a trustworthy one at Cavalier Window Cleaning & Power Washing. We have been around since 2001 and still delivering those same great services today. 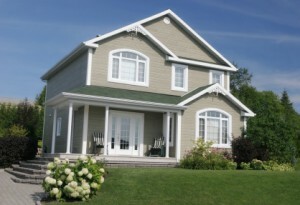 We do windows, siding, flat surfaces and deck cleanings. We do these services because we know just how hard they are to do on your own. So save yourself the muscular pain that comes with performing these services and call in the experts today. Getting all of your exterior needs met with only one contractor may seem out of this world but it is true. Whenever you call on us to clean your windows, powerwash the siding on your home or even the basement; you’ll be in good hands. Whenever it comes to your windows; there are many ways in which top maintain them. Store bought cleaners, for instance, can do more harm than good as they only leave behind nasty streaks that cannot be removed very easily. No matter the size of your windows or quantity of them; you can always call us for our window cleaning services. We’re the name that you can trust in Virginia as we have been around for many years. You can take advantage of our services just by calling today. A home’s exterior is never clean enough that is unless you have power washing done on it. There are many steps, in the process, of exterior cleaning that gets it cleaned to perfection. In order to have yours done professionally; you will need to call Cavalier Window Cleaning & Power Washing. We can save you the headaches associated with trying to keep up with the appearance of the exterior. If you’re willing to hand over the responsibility to someone else; make sure that you hand it over to Cavalier Window Cleaning & Power Washing. For many years we have been the choice for power washing and generating more value for homes all across the area. We can help increase the value of yours too. Call and make an appointment with our licensed & certified professionals today. If you need more information or have any questions about our window cleaning services; please do not hesitate to call Cavalier Window Cleaning & Power Washing. We’ll be more than happy to provide you with such a quality service and for whatever your exterior needs are. “I cannot recommend Cavalier Window Cleaning strongly enough. The price can’t be beat. They do have a $200 minimum, but if you collaborate, it works out great. They are fully insured and come with a truck with a tank and powerwasher. They spent enough time to clear out each and every gutter. They took pictures to show the gutter that was missing its screen. They cleaned the decks and sidewalks from any debris and even did a quick wash of the windows and siding, as some leaves had poured out on to them. The two members of crew were professional, eager, and very helpful. They would not even accept a tip. When I asked them to come a little later than arranged because I was concerned about ice on the roof, the owner quickly reassigned them and sent them around noon. “Cavalier Window Cleaning did a excellent job on the windows and outside lighting for our older and rather complicated house. We have a B&B and the entire process was conducted with the ongoing business in mind, and with exemplary attention to detail. The technicians are obviously well trained and handled all aspects of the job professionally and completed each task thoroughly. We will recommend this company to anyone needing top quality help for their windows. If you are looking for a Charlottesville window cleaning & Power Washing Company then please call 434-823-1737 or complete our online request form.